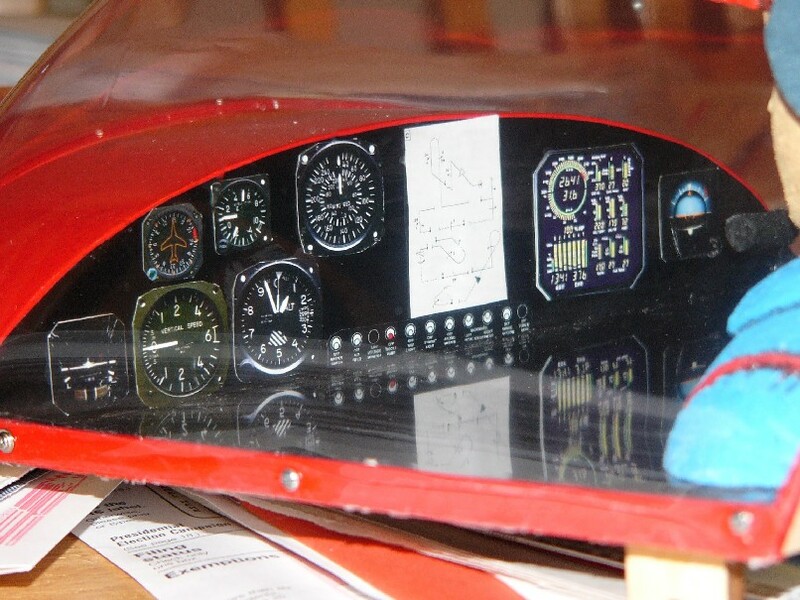 Here is a really cool and easy way to make realistic instrument panels for your models. Find a full scale website that sells aircraft instruments (Chief Aircraft has a huge selection) and right click and save the pictures of instruments you want in your dash. Next, import them into a program that you can adjust the size to suit your requirements. 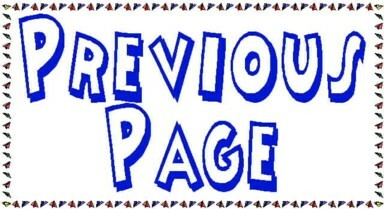 Print them out on photo paper in color and them cut them out. 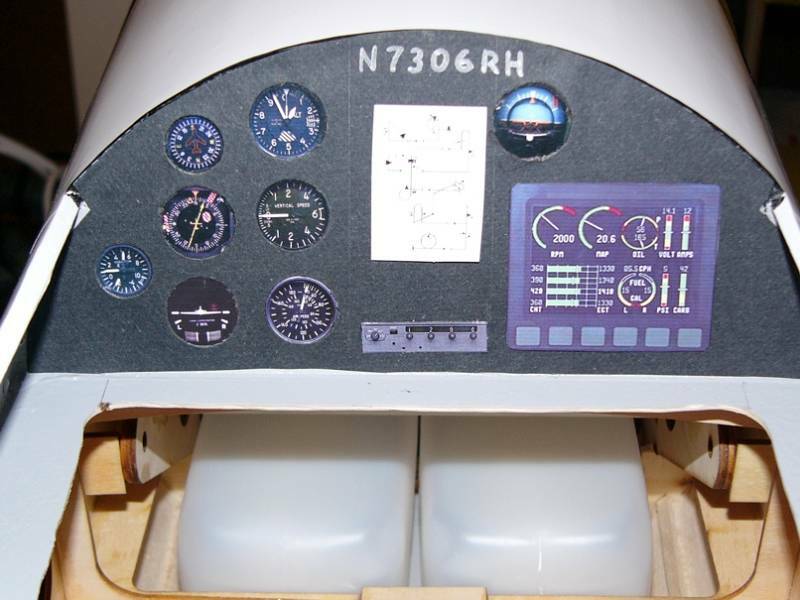 Arrange them on a black background to suit yourself and you have an instrument panel. If you want to go farther, Take some black construction paper or 1/32 ply painted black and cut circles out to match the size of the instruments. Glue the instrument on from the backside then put some clear urethane or other clear paint over each instrument face. Now, you can put eye glasses screws around the panel or I use an 1/8 dowel rod with a cross filed in it and inked on an ink pad to look like screws. Small led's or round stick pin ends can be used for lights, circuit breakers and switches. On my Yak 54 panel, the plane is 30% size. Since most aircraft instruments are typically 2 1/4" diameter face, 30% of that is approximately 3/4". So, I sized them all the 3/4" except the verticle card compass and the "G" Meter, which are 1 1/2" instruments. On this panel, I did not use any paint as the panel is under a tinted canopy and looks like there is glass anyway.